In a vote in Brussels on Monday, EU member states remained divided on a moratorium to ban three pesticides considered harmful to bees. A total of 15 Member States supported the restriction, 8 Member States voted against and 4 Member States abstained during the appeal committee vote. Bulgaria was among the countries that supported the restriction. 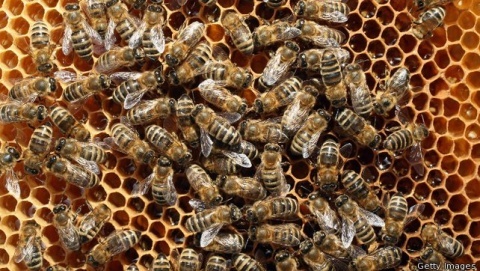 "Since our proposal is based on a number of risks to bee health identified by the European Food Safety Authority (EFSA), the commission will go ahead with its text in the coming weeks," European Commissioner for Health and Consumer Policy Tonio Borg said in a statement following the decision, according to Deutsche Welle. "I pledge to do my utmost to ensure that our bees, which are so vital to our ecosystem and contribute over EUR 22 B annually to European agriculture, are protected," said Borg. The EU Commission had proposed the two-year restriction on three neonicotinoids - or pesticides known to have harmful and fatal side effects on the central nervous system of insects. Bulgaria declared its support the ban on the use of bee-harming neonicotinoid pesticides at the vote at the European Commission's Appeal Committee following protests organized by local beekeepers.